November is always a fun and active month for Tobacco-Free East Hawai`i with multiple tobacco and e-cigarette prevention presentations and, of course, the annual Waiakea High Great American Smokeout (GASO) event on November 17. On GASO day, students challenged staff to a Whiffle Ball game during lunch to promote physical activity over vaping and smoking. The staff edged out the students 8-6 with a fun-filled three innings of laughter and base running. Students from the Student Activities Council promoted the quit smoking event by passing out 25 brown bag “cold-turkey” quit kits. The kits were for students to take home and encourage a tobacco user to try to go “cold-turkey” for 24 hours and use the tools from the Hawai‘i State Quit Line to create a quit plan. They also were able to touch actual lungs and sign the “NEVER WILL SMOKE” banner. 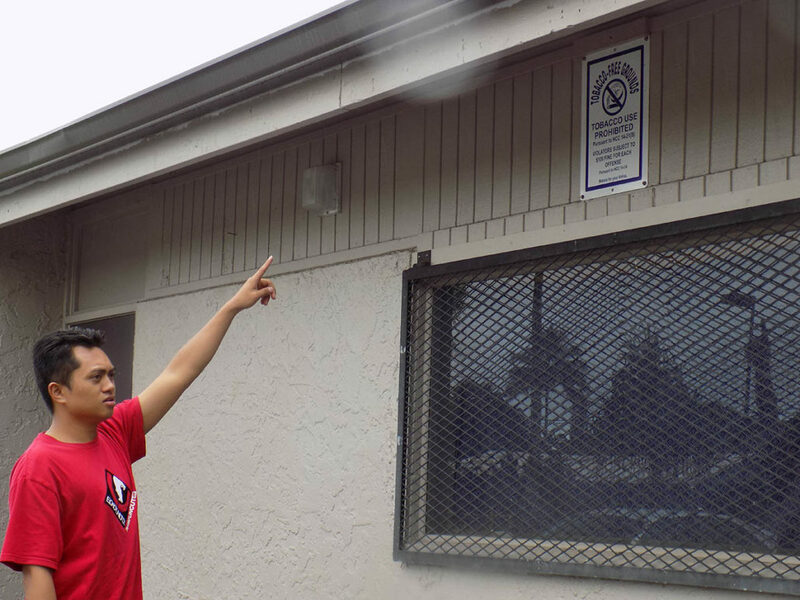 A couple weeks later, the Youth Council of East Hawai‘i gathered on a rainy Saturday, December 3, to explore popular East Hawai‘i recreation centers, parks and beaches to document if the Hawai‘i County law requiring that parks, beaches and recreational facilities be tobacco-free (including e-cigarettes) was being promoted. 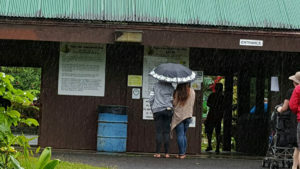 In pouring rain, two UH Hilo students and two Keaau High school students discovered abundant signage at the Paneawa Rainforest Zoo and Equestrian Center and virtually no signage at the Ho’olulu Complex, which is the largest recreational facility in Hawai‘i County. 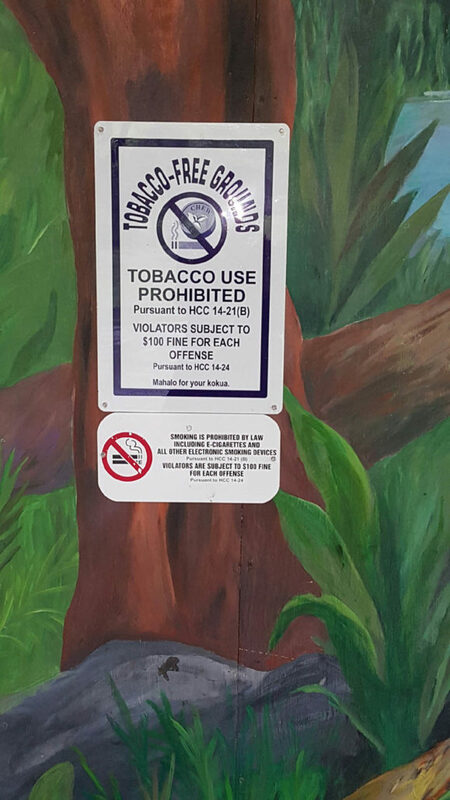 Students took photos and documented where signs were hung, where they would recommend signage, and where signs were missing, as well as tobacco litter. Photos and the students written remarks will be shared with county officials to motivate them to increase their promotion of the law.